This is indicative of Samsung’s commitment to a digitally enabled Sri Lanka by allowing our customers to Go Faster & Go Longer,” said Shantha Fernando – General Manager and Head of Mobile Business, Samsung Sri Lanka. Galaxy J2 Core features an 8-megapixel rear camera and 5-megapixel front camera, making it the perfect choice for capturing great pictures. Galaxy J2 Core gets a 5” display for an enhanced viewing experience and packs a punch in terms of design with a glossy back finish. The device is powered by Samsung‘s proprietary Exynos processor that is specifically tuned for the latest Android Oreo (Go Edition). It comes with 1GB RAM and 8GB internal memory which can be expanded up to 256GB with an external memory card. Furthermore, Samsung’s Smart Manager delivers automatic RAM management that ensures the device has sufficient free memory and remains fast and optimized. 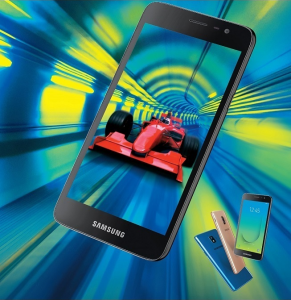 Galaxy J2 Core is available in three colours – Gold, Blue and Black. It will be priced at LKR 16,390 and will be available across all authorized sellers.